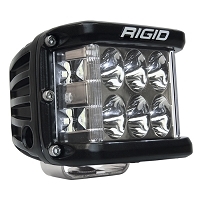 The Rigid Industries D-Series LED Light is one of the most popular off-road lighting systems on market. Compact and versatile, this pair of lights provide a ton of output while drawing a minimum amount of power. 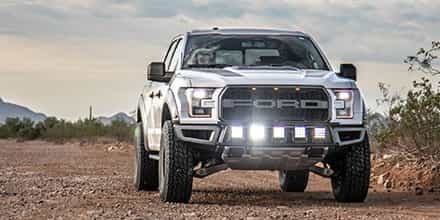 Your F150, Super Duty or Jeep of choice will benefit from the highly customizable options available with a pair of these Dually Spot LED lights. Special features of this optics system provide the user with a powerful, narrow, and very intense beam of light that illuminates areas up to 440 meters. 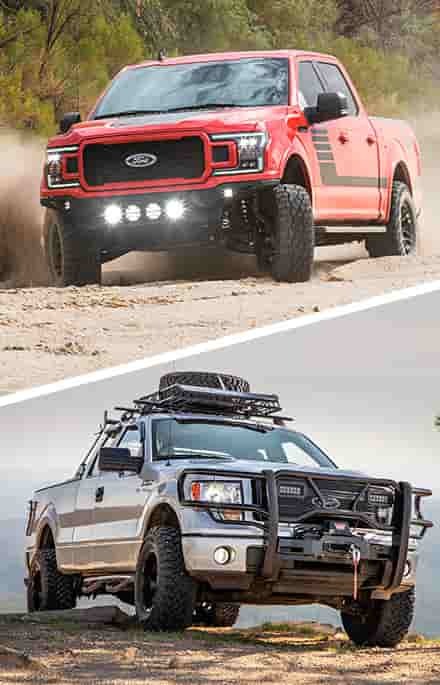 Your F-150 or Jeep will gain the ability to "spot" hazards on the trail before they become huge problems. 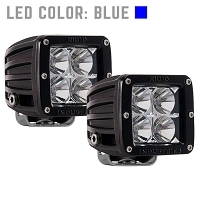 This pair of lights are small and compact enough to be mounted in a variety of places on your vehicle and give you the option of directing the beams horizontally or vertically in the direction of your choice. 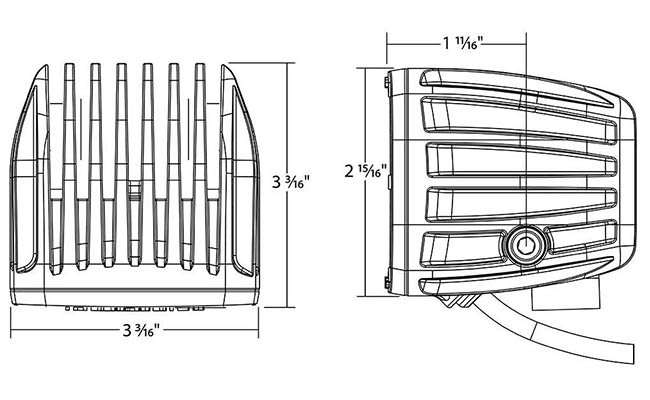 They also have a low enough power draw so that the two Dually Spot LEDs won't overwhelm your factory electrical system. 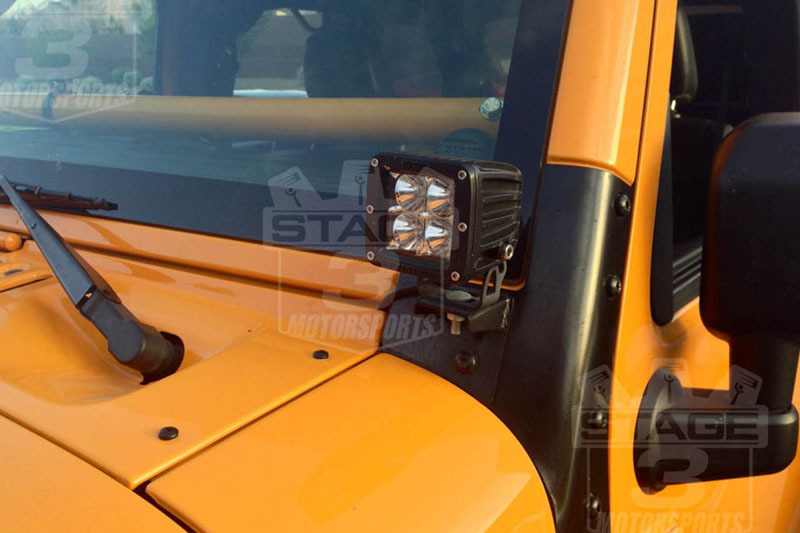 On top of its awesome lighting performance, the Dually is one of the toughest off-road spot light systems on the planet. 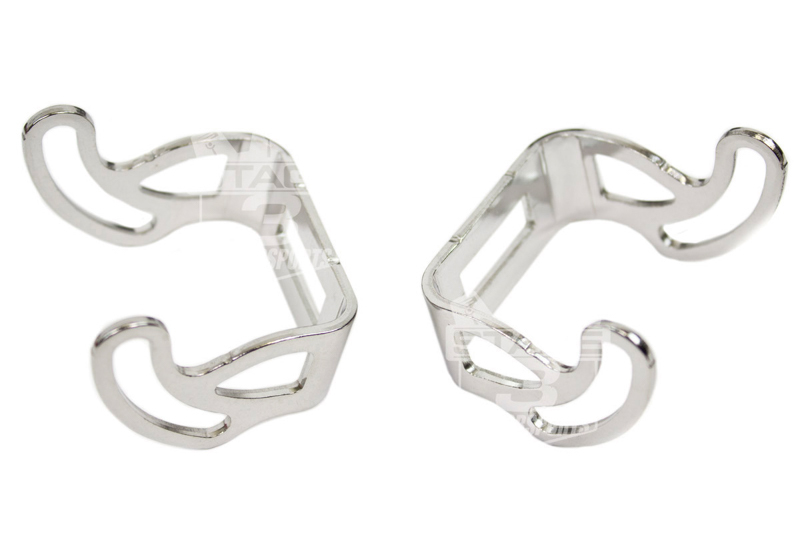 They can handle immense levels of punishment and any climate, letting you go anywhere at anytime. Each spot light unit in this pair feature four powerful LEDs arranged in a 2x2 pattern. 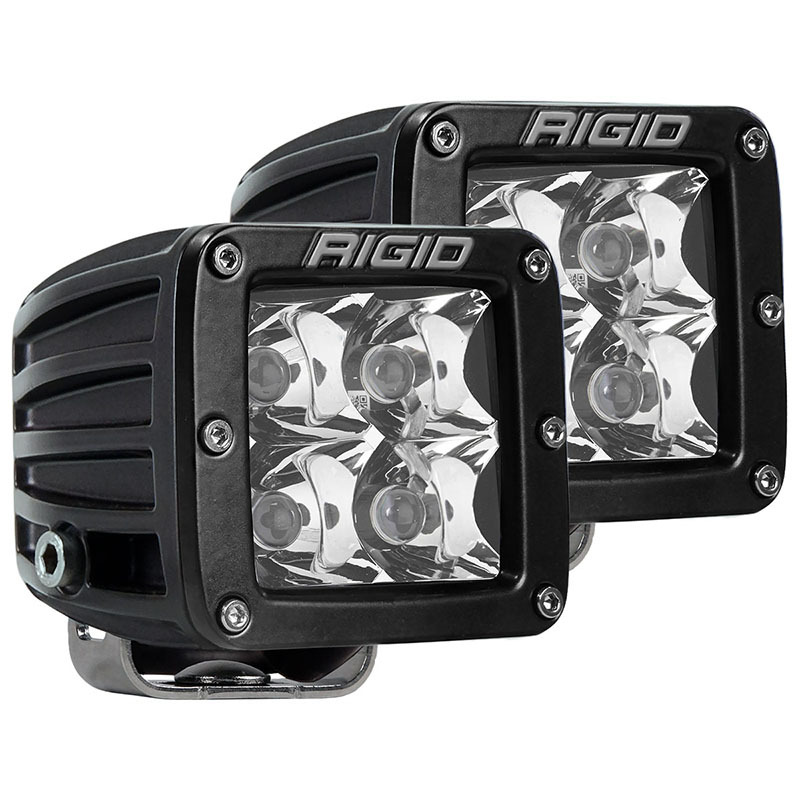 Rigid's patented Hybrid Optics system utilizes a combination of lens and reflector to maximize the amount of light emitted from the LED, allowing you to project it exactly where you want it. It casts a beam in a 10 spot pattern producing a narrow, but intense beam of light over a long distance. 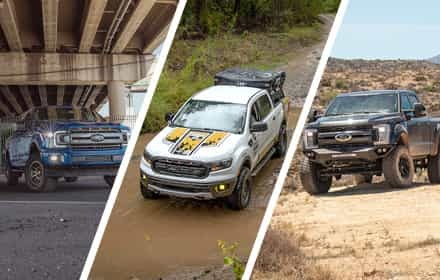 With such a precise range of the spot beam your F-150 or Jeep will have no problems picking up trail hazards and other problems during high-speed or off-road runs. The Spot Duallys are a great addition to any off-road vehicle or truck that needs to see way down range after the sun goes down. 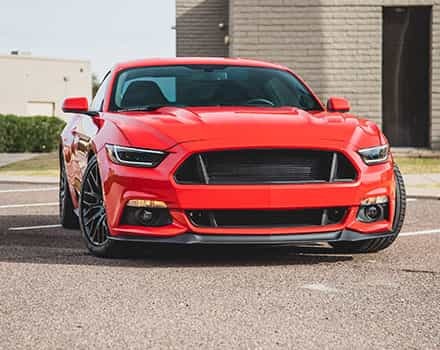 Installing a pair of Rigid Dually Spot Lights is easily one of the strongest and most durable upgrades you can to your vehicle. Each light is built to withstand the most brutal conditions on the planet. 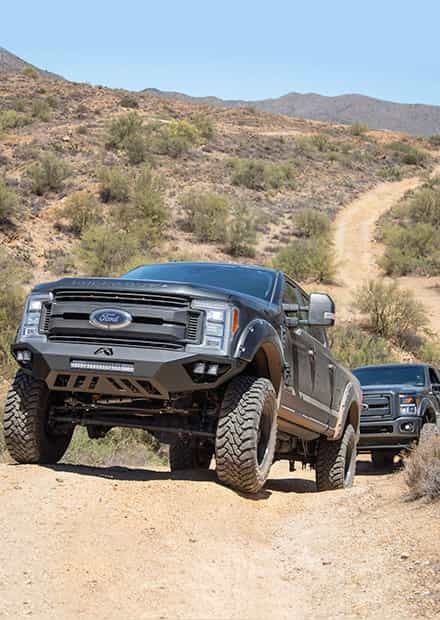 Each Dually has high-quality LED boards that are resistant to impact and vibration to keep the lights functioning as you thunder down the trail. The boards are further protected by an extra-strong cast aluminum housing and a thick polycarbonate lens that can withstand amazing levels of punishment. 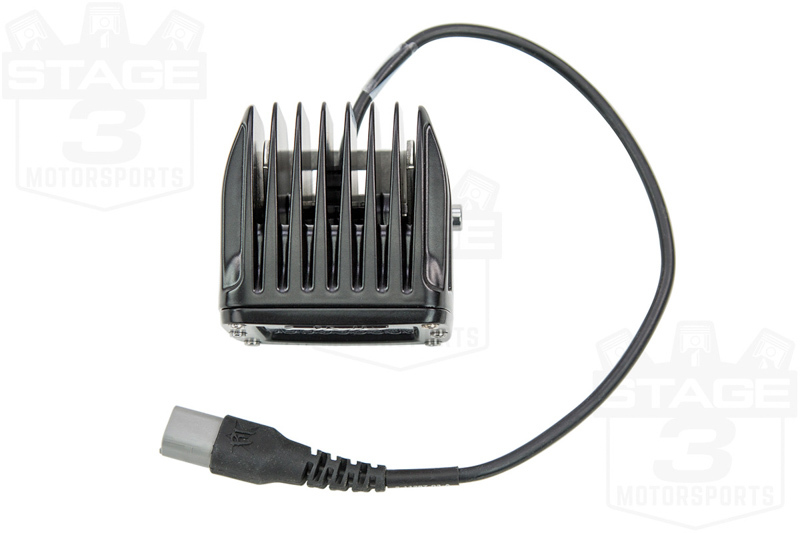 The housings feature oversize, built-in heat sinks that allow you to run your Dually spots without risking overheating and damage. Each light has a GORE® pressure equalizing vent that prevents condensation and other problems. 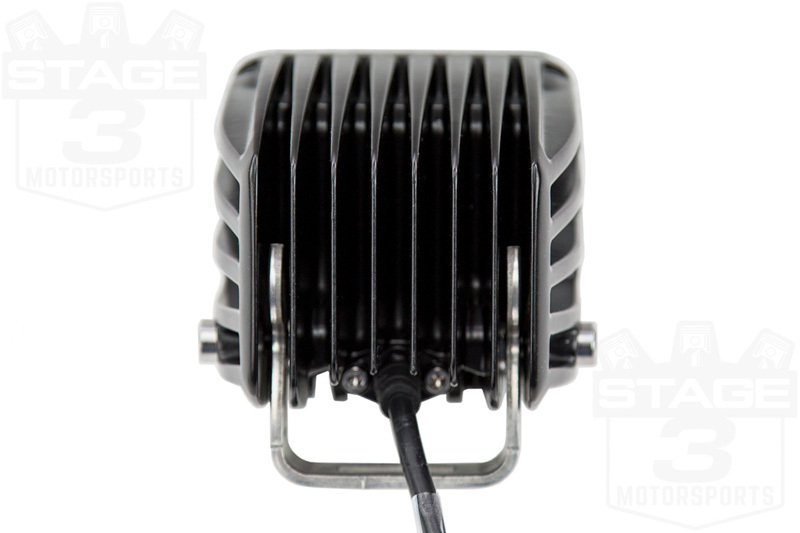 Rigid throws in a full set of wiring with a sealed connector and switch with each pair of their Duallys and mounting brackets for each light. All of their systems are manufactured right here in the USA. These are great lights and the service from Stage 3 is second to none. They throw lots of light and were easy to install and wire up with everything provided. 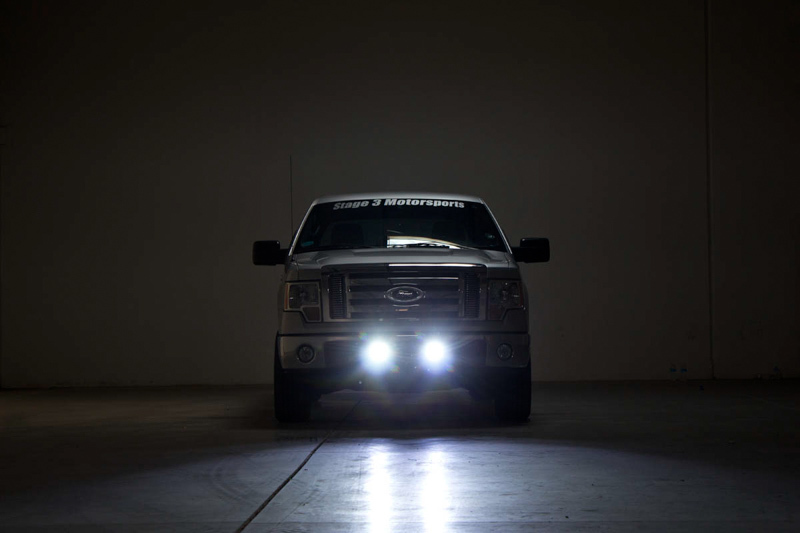 The Rigid Industries Dually Lights are super bright and installation was pretty straight forward. I had to splice into the wiring to add more wire to the harness due to the harness was a little short for where I mounted my switch. Add in wire loom and installation looks as if this was a factory option. Overall satisfied. 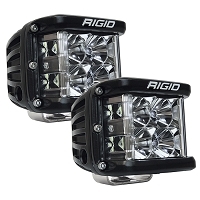 Rigid Dually lights simply the best and brightest light made. I tried a different brand to save a little money and was not pleased. Bought the Rigid Duallys and wow now that lights up the back roads. 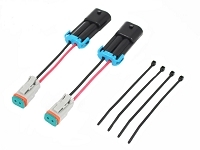 Can i wire these to turn on when i turn my fog lights on? 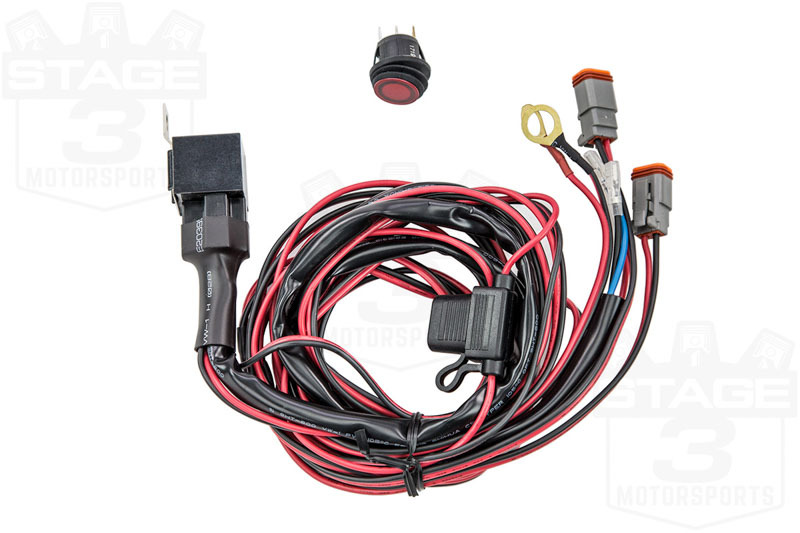 You can tie them into your stock fog light harness manually. 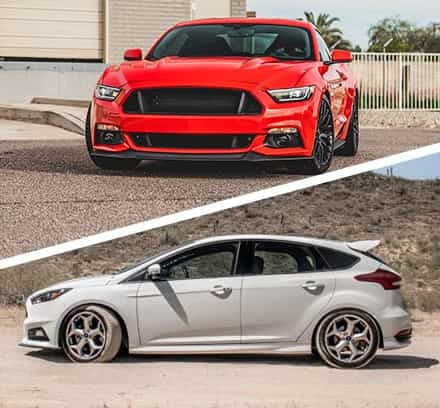 If you have a vehicle with H10 fog lights, you can potentially use Starkey's Deutsch to H10 Wiring Adapters, or their Dual H10 Adapter Kit that lets you keep the stock fog lights. FOR a brighter light do i need more watts or more raw lumens? For actual brightness, the stat you should care about is raw lumens more so than watts. However, the more important stat when it comes to the actual beam and output of a given light is arguably [email protected] distance (usually [email protected]). which do u think is brighter the black oak(Spot 10 Watt Cree) or these? ( I will like to have an HONEST Answer? While their rated raw lumen outputs are fairly close, what I don't see on Black Oak's site is a [email protected] measurement, which tells you how effective the optics in the light are at harnessing the light output of the LEDs. These Rigid Duallys throw out 721 lux at 10 meters, and since the Black Oak LEDs look like they use fairly generic optics, I'd argue that the Rigid's have an edge on overall brightness and beam pattern.